Albany City Rentals, LLC has been serving family housing & student housing needs since July 2009. Beginning with one property, we have expanded to nearly 20 housing units in the City of Albany, and continuously expanding. We pride ourselves on providing spacious apartments at reasonable prices, while providing superior maintenance and attention to quality. We are always a phone call away. Centrally located in the Pine Hills Neighborhood of Albany, we are in the heart of it all. We are the only full service Student Rental Company in Albany. We are also a qualified participant with Albany Housing Authority (Section 8) and Albany County DSS, and only offer a limited number of units to those qualified applicants. We offer luxury Single Family Homes, Apartments, Student Rentals, Commercial Property, and Student Roommate Opportunities in Albany, NY. Albany City Rentals, LLC is proud to be active in Eco-Friendly trash management in our city. During our renovations, we minimize the amount of debris we discard, promote recycling, and provide each tenant with a recycling tote. We remodel our units to promote energy efficiency standards. We pride all our properties on being affordable, safe, and clean. Give our team a call or email and let us help you in your search for Student Rentals and Housing in the City of Albany. 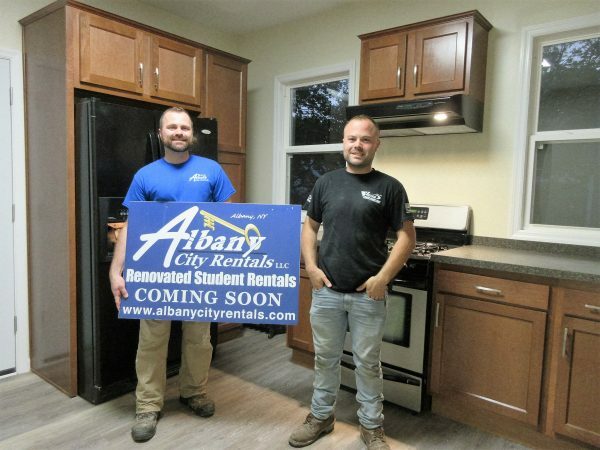 See why Albany City Rentals, LLC is more than just a “landlord”, but a partner in the City of Albany.